Seroquel is prescribed for the treatment of schizophrenia, a mental disorder marked by delusions (false beliefs), hallucinations, disrupted thinking, and loss of contact with reality. It is also used for the treatment of manic and depressive episodes associated with bipolar disorder. 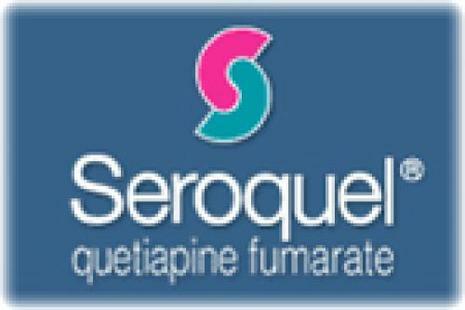 Seroquel belongs to one of the newer classes of antipsychotic medications. Researchers believe that it works by diminishing the action of dopamine and serotonin, two of the brain's chief chemical messengers. 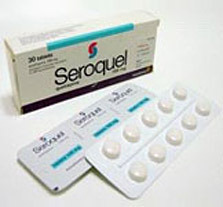 Seroquel is an antipsychotic medication. It works by changing the actions of chemicals in the brain. Extended-release quetiapine (Seroquel XR) is for use only in adults and should not given to anyone younger than 18 years old. Seroquel (quetiapine) is an atypical antipsychotic medication approved in 1997. Like other medications in this class it works by blocking serotonin and dopamine receptors, and it has fewer side effects than older antipsychotics. Sleepiness is the most common side effect of Seroquel. It is used primarily to treat schizophrenia, but patients with bipolar disorder may also benefit. A drug developed for the treatment of schizophrenia, Seroquel (quetiapine fumarate), is an oral medication that was cleared by the FDA in 1997. Seroquel is manufactured by Zeneca Pharmaceuticals and is a member of a new chemical class called dibenzothiazepine derivatives. Like other new "atypical" antipsychotics, Seroquel carries a decreased risk of side effects related to loss of motor control, a major problem with older "typical" antipsychotics. 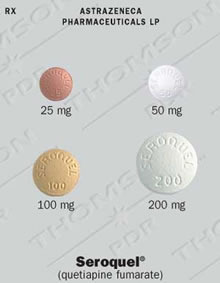 Seroquel is taken orally in pill form, usually two to three times per day. Extensive clinical trials show that Seroquel is effective in the treatment of all manner of symptoms of schizophrenia, from delusions to apathy. Seroquel affects a range of neurotransmitter receptors, including serotonin receptors. Users of Seroquel have found the drug to be as effective as traditional antipsychotic medications, including Thorazine (chlorpromazine) and Haldol (haloperidol). Until recently, it appeared that Seroquel was a new miracle drug, effectively controlling symptoms of schizophrenia, while avoiding the side effects that many patients found irritating or embarrassing.